Charlotte is one of the largest cities in the U.S. and the largest city in North Carolina. Charlotte consistently ranks as one of the top growing cities and is the home to the Carolina Panthers, Charlotte Hornets, NASCAR Hall of Fame, and of course, some of the best golf in the Southeast. With many public, semi-private and private golf courses in the Charlotte Metro area, we'll help you find a way when you want to play! Looking to play golf with friends, make new friends, or find somewhere to play your next round of golf? 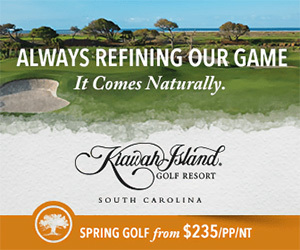 Take advantage of the Pay4Golf18 Season Series and find more time to play golf. Pay4golf.com hosts a regular series of golf events for its members in the Charlotte area. You should be able to find a day that makes playing golf the right decision. You can also match your skill in our Fantasy Game Central. Improve your game with golf lessons, golf clinics and Lesson Programs. 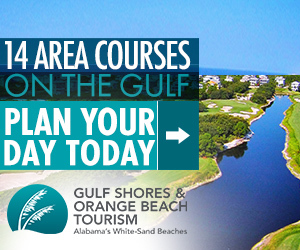 Find your next golf package through Golf Getaways providers. 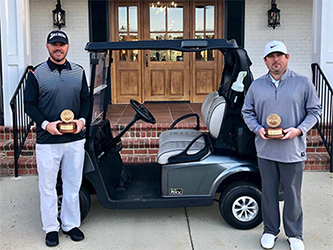 Pinehurst, NC (November 30, 2018) – It was a chilly few days at the 2018 E-Z-GO / AHEAD Carolinas PGA Pro-Pro Championship, but full of great play. 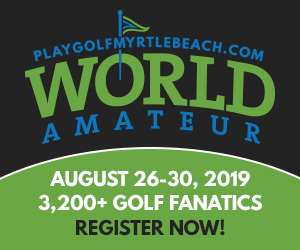 This year’s Championship was host to 296 players (133 teams) and took place at Dormie Club, Mid South Club & Pinehurst No. 8. The players competed in some great team formats on each course: Dormie Club – Four-Ball, Mid South Club – Captain’s Choice, Pinehurst No. 8 – Modified Alternate Shot. After a close competition, Nick Jacobi & Charles Chapman were crowned our 2018 Pro-Pro Champions! The team finished at 21-under par for the 54-hole event. Designed with extra care to preserve the natural beauty of the area, Highland Creek Golf Club winds through towering trees and meandering creeks. The course features A1/A4 Bentgrass greens, Bermuda fairways and four sets of tees offering all golfers challenging yet enjoyable round.